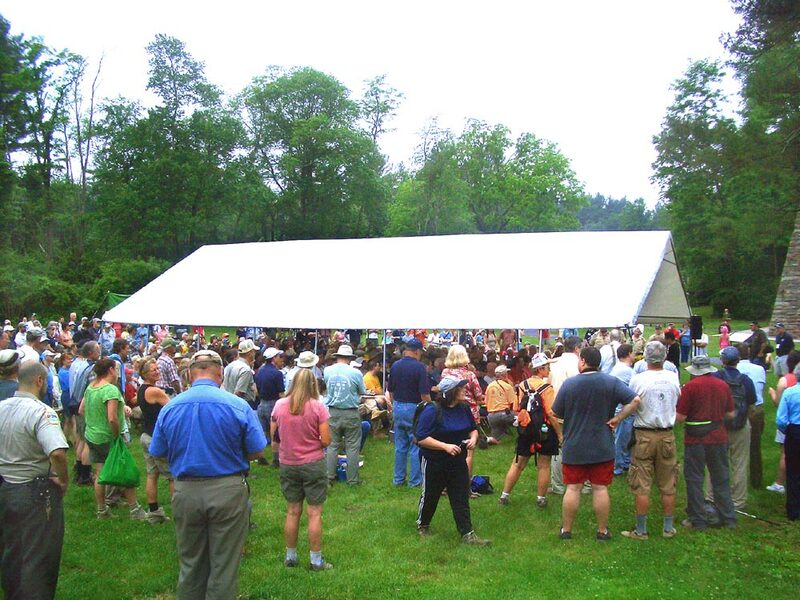 Nearly 500 people entered the Appalachian Trail Museum (located in the Old Mill) on opening day and approx 750 attended the opening ceremony on Saturday in Pine Grove Furnace State Park. 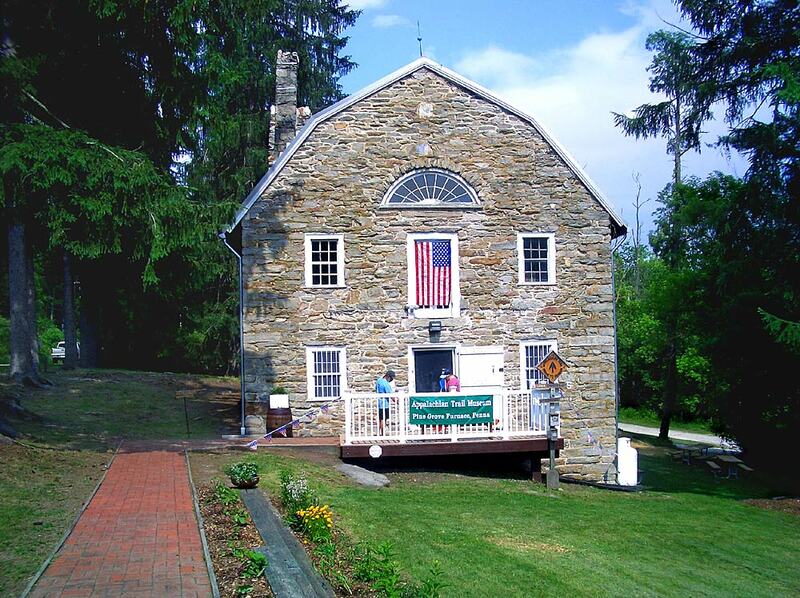 Hours of museum are now 12 noon to 4 pm each day until Labor Day. Admission is free but a freewill donation of $5 for adults is greatly appreciated. Volunteers are needed to serve as greeters at the door. York County Master Gardeners have done a great job of planting flowers and landscaping the grounds. 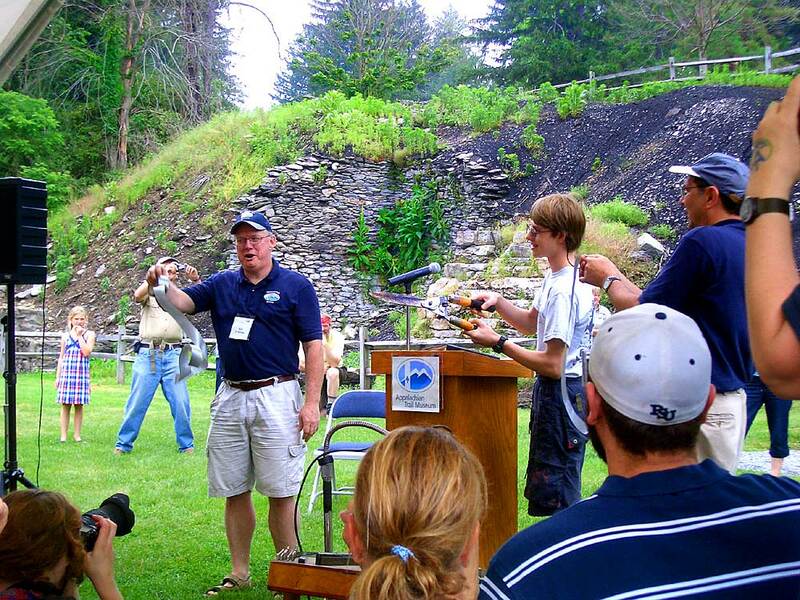 Weekend programs are now being scheduled and volunteer presenters on any topic related to the AT are being recruited. Contact volunteer coordinator Margy Schmidt at atmuseumgreeters@gmail.com for information on all types of volunteer opportunities - greeters, gardeners, program presenters, etc. 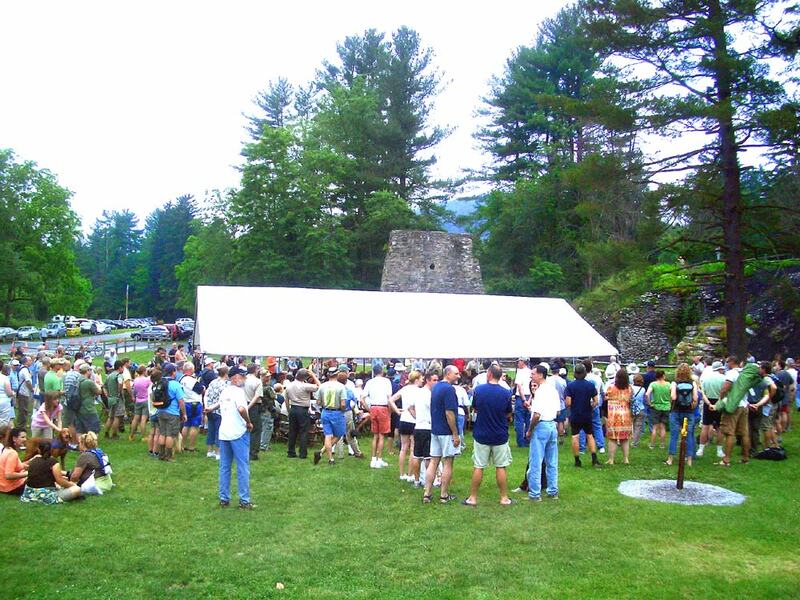 Opening Ceremony between the Appalachian Trail Museum and the Pine Grove Furnace. 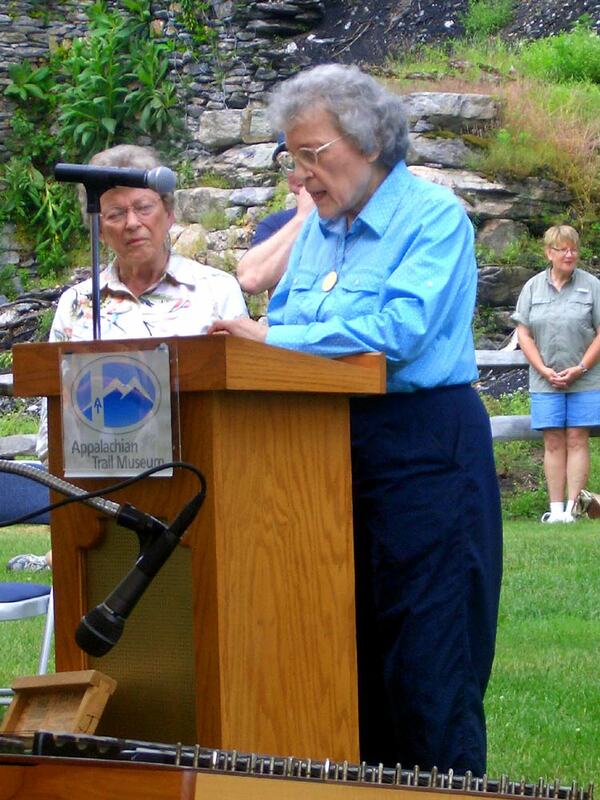 A.T. Museum Grandma Gatewoods DaughterSpeaks. Grandma Gatewood (October 25, 1887–June 4, 1973), was an extreme hiker and ultra-light hiking pioneer who was the first woman to hike the 2,168-mile (3,489 km) Appalachian Trail from Mount Oglethorpe in Georgia to Mount Katahdin in Maine solo. 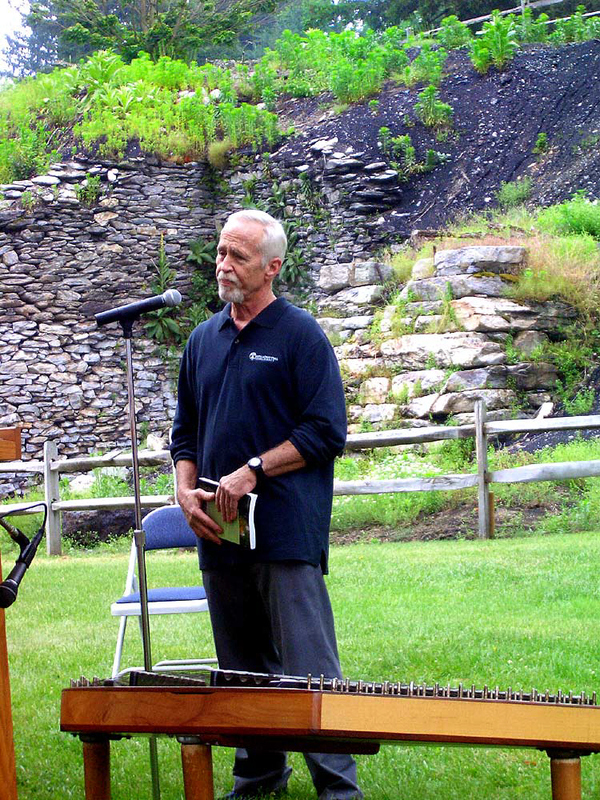 A.T. Museum John Shaffer Brother of Earl Speaks. Earl Shaffer in late 1947, the urge to hike the Appalachian Trail started to grow within him when he learned from a magazine article that no one had hiked the entire Trail in one season. It was thought to be an impossible feat. Walter his friend and Earl had planned on hiking the Trail after the war. Walter was killed during the landing at Iwo Jima, though, so Earl headed for Mt. Oglethorpe in Georgia alone in May of 1948 to begin his historic journey. 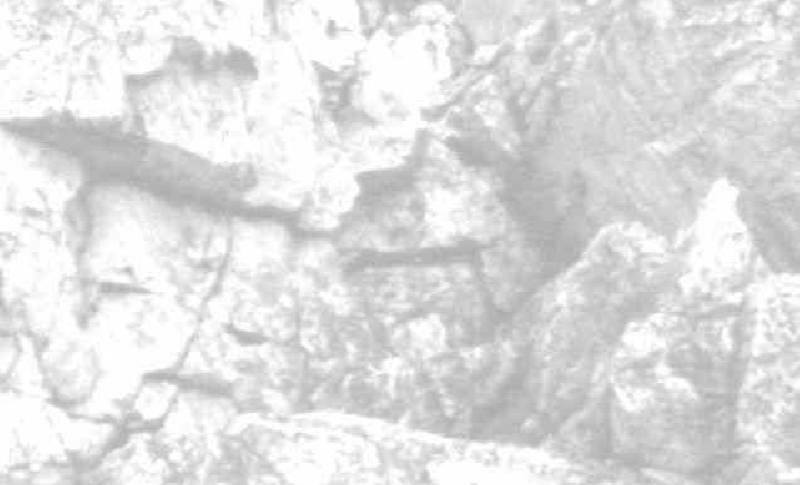 He went on to become the first person to "thru-hike" the A.T. in one continuous journey that year. His hike was in many ways a memorial to his friend. 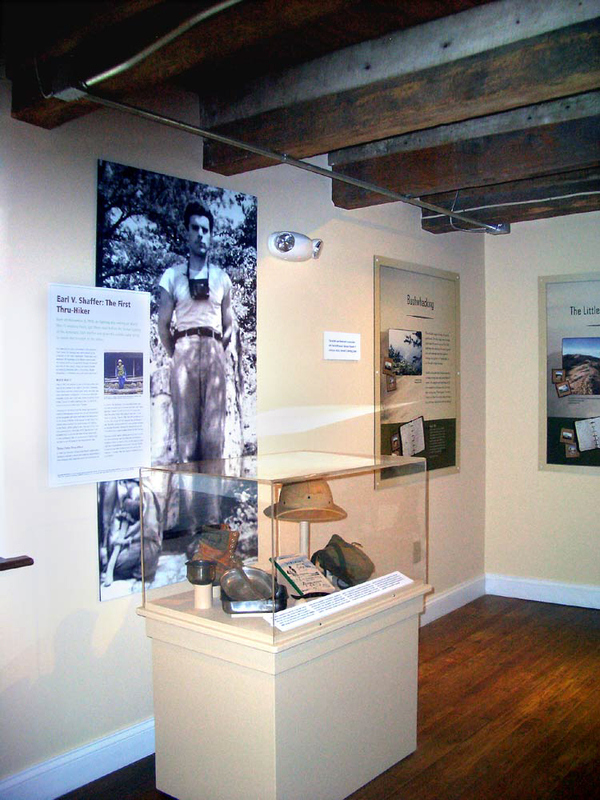 A.T. Museum Earl Schaffer Exhibit. A.T. Museum Ed Garvey's Daughter Speaks. 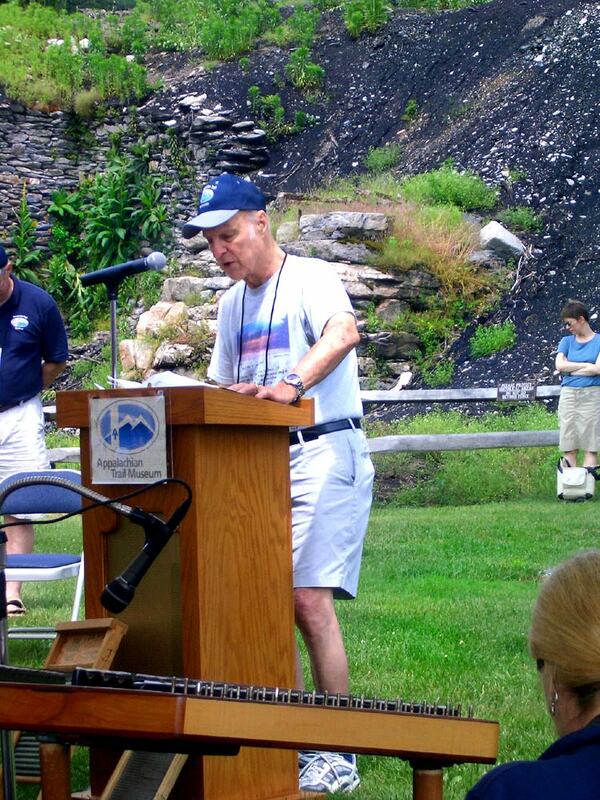 Edward B. Garvey wrote Appalachian Hiker and Appalachian Hiker II in 1971 and 1978, respectively, telling the story of the trail and his thru-hike of it from April to October 1970. A.T. Museum Dave Startzell A.T.C. 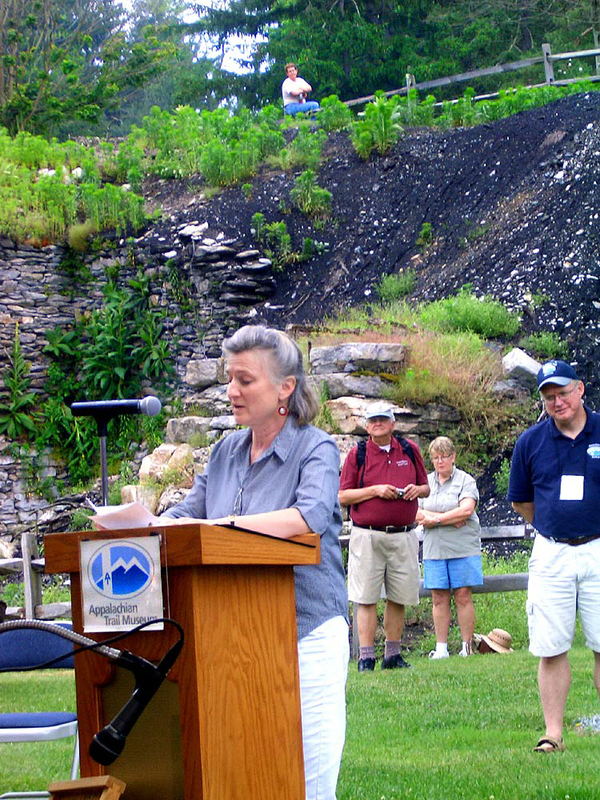 (Appalachian Trail Conference) Executive Director Speaks at Opening. 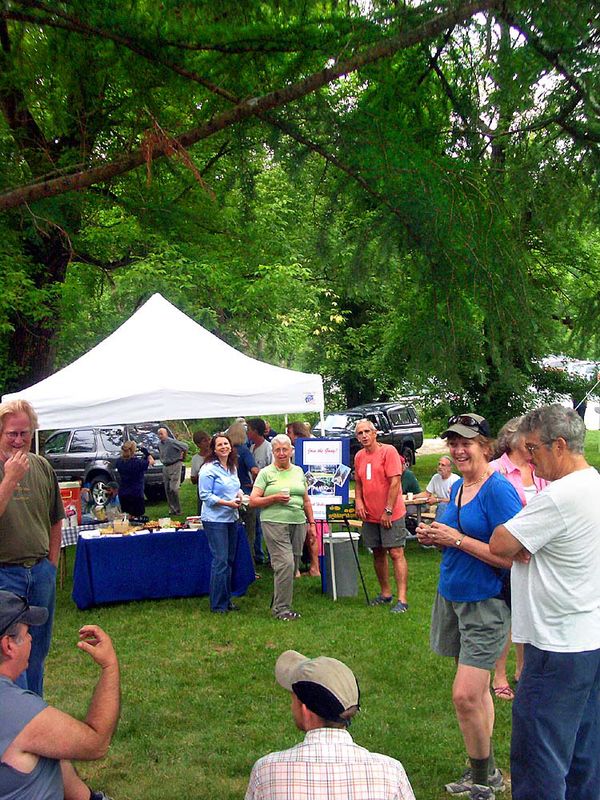 Reception was hosted by York Hiking Club - Tom Morley with Rosie of Mountain Club of Maryland. Both presidents of their clubs. 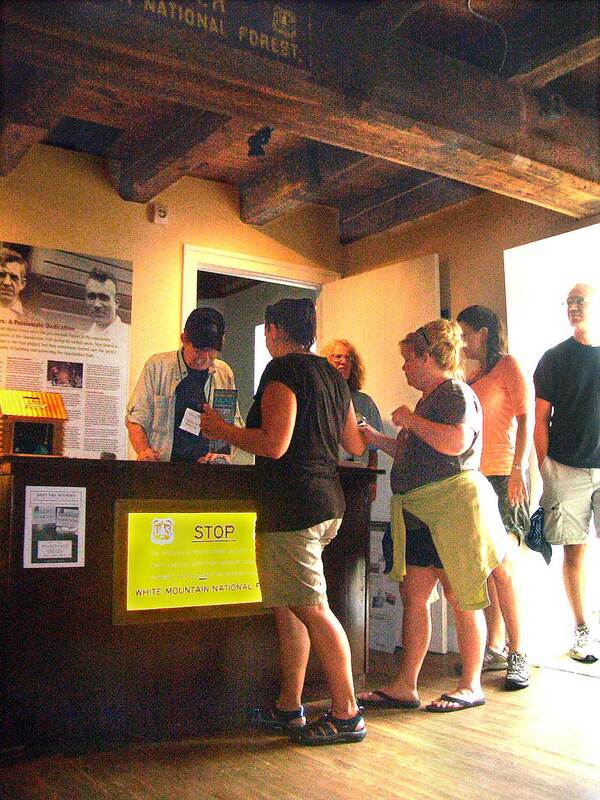 A.T. Museum (old mill) Visitors Enter for Grand Opening. This very young AT trail maintainer is named after the AT founder and visionary Benton MacKaye. Duck tape and brush trimmers were used for the ceremonial ribblon cutting. His parents are also trail maintainers. More coverage on the Cumberland Valley A.T.C.